If you spend more than £9.99 (excluding postage and any discounts), you will have access to a free gift selection when you view your basket. Simply select a FREE gift from the bottom of the basket page. 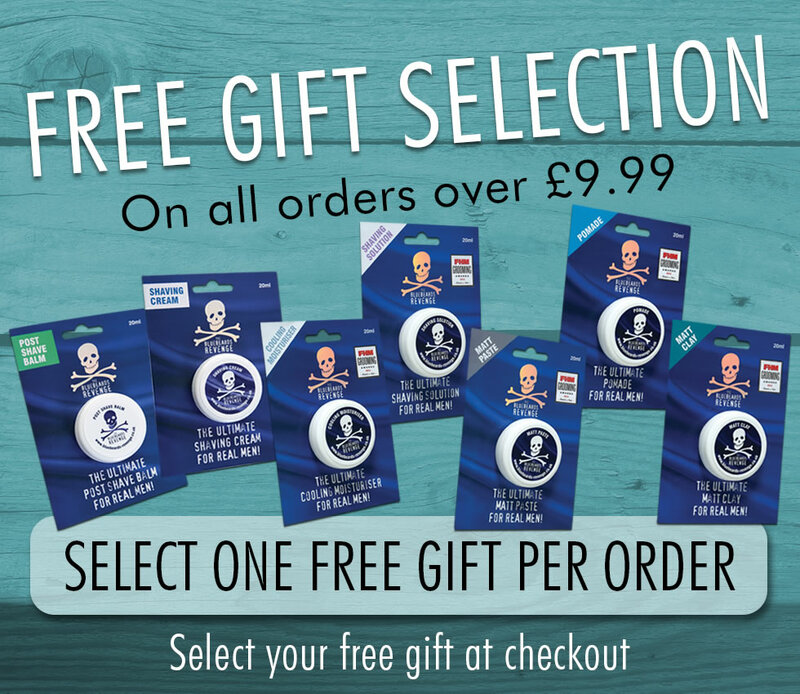 Please note that you are entitled to only ONE FREE GIFT per order over £9.99 and adding additional free gifts to your basket will incur the full retail price for the additional item. Please also make sure that it is in your basket before you checkout and that it also appears in your email confirmation as we cannot forward free gifts separate to the order once it has been dispatched. Spend more than £49.99 and get access to a second tier of FREE gifts! If your order is more than £49.99 (excluding postage and any discounts), you will have access to a second tier of FREE gifts. 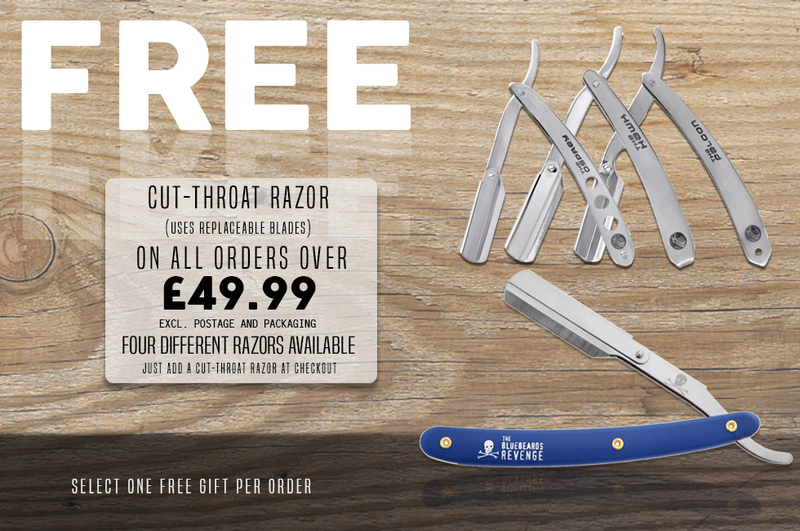 This comprises of the following four cut-throat straight razors with replaceable blades. Simply select one FREE gift from the bottom of the basket page. Please note that you are entitled to only ONE FREE GIFT per order over £49.99 and adding additional free gifts to your basket will incur the full retail price for the additional item.